Pre-registering locks you in to the best rate possible with no money down! Show up with your ID and payment to be ready to checked in. Those looking to participate in a single race and lock in the best rate should register before the close of business the Monday before Tuesday’s race day. You are more than welcome to register the day of the race. The registration tent opens at 3:00 pm on the event day for racer registration. Individuals can register up until 30 minutes before their designated race time. Minors must be accompanied by a parent or legal guardian to sign the Release of Liability. To start off we will ONLY accept cash and checks at the registration desk. Please make checks out to “Tough Guy Productions”. Pay for all the races up front and in advance to receive an incredible discount. 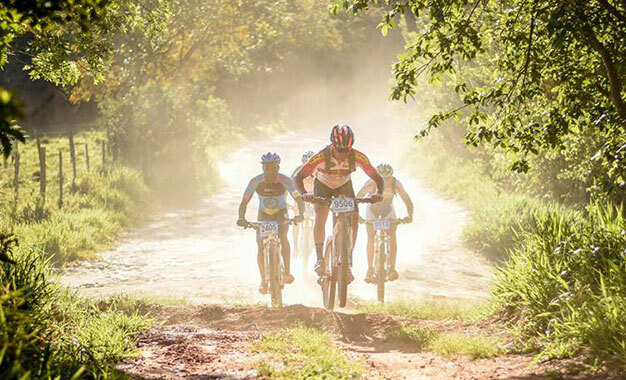 The race pass gives you access to every race in the series at a discounted rate. The pass may be purchased throughout the series. If you would like to try one race out before buying your season pass, we will prorate the amount of that one race off of your season pass! **Juniors that are free of charge for the cross country race still need a parent or legal guardian to sign a Release of Liability for race participation. All racers will receive a series race plate at their first race of the season. These are the only race plates that will be honored by our officials (no other event race plates or cloth bib numbers!). If you forget or lose your race plate, you’ll have to buy a replacement plate at the registration table (cost: $10). If – anytime throughout the series – you upgrade to another category or decide to race a second race that evening, you have to get a new plate for your new category at registration (and turn in the plate of your old category, so we can reuse it). Please make sure to attached your plate to your handlebars using 3 (THREE) pipe cleaners or zip ties (to prevent your plate from flipping over) and IN FRONT of your brake/shifter cables. If your plate is not readable, you might not get scored correctly. NUMBER PLATE PICKUP BEGINS AT 3:00pm inside the race venue next to the start line. All racers including Juniors ages 18 & under (even if “Racing Up” into an adult category) will be assigned permanent number plate. Weekly results are all that will be provided the initial season. If you have questions or corrections about results, please email the person listed at the top of the results page as they will have been the one overseeing the scored results from the officials. Points will not be awarded for the Town Series as multiple disciplines are covered. A final series raffle will take place at the series XC Finals. Racers who are racing at a level that is deemed “head and shoulders” above the rest of their field will kindly be asked to upgrade during the series. Note: the upgrade rules do not apply to junior racers. Moreover, racers are free to upgrade at any point in time.